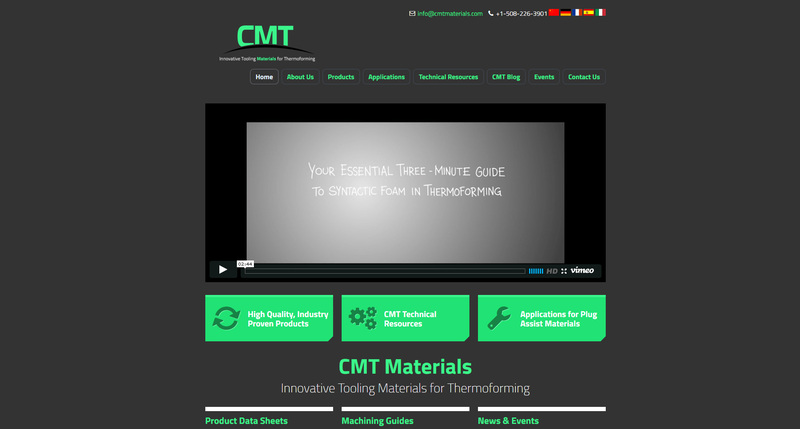 That disposable drinking cup you recently used was probably thermoformed by CMT Materials. Thermoformed food and beverage products are often made in batches that run in the millions. So errors can be expensive. CMT helps customers reduce waste and run more efficient operations. Hence, the home page concept. Demonstrating the benefits of CMT was a challenge: their products run inside equipment and are largely invisible. So in a three-minute video production, we combined CMT’s general manager, who happens to be an outstanding presenter, with a hand-drawn animation style. The balance of this service-oriented company’s site is designed to educate prospects and customers.